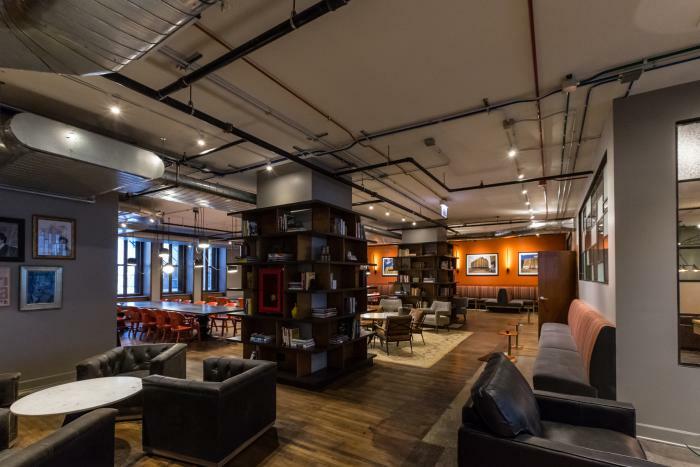 Searching for a fresh venue for your next Chicago meeting or event? Look no further than the city&apos;s latest culinary craze: food halls. Consider Chicago&apos;s growing food hall scene for creative spaces, eclectic meals, unique team-building experiences and laid-back gatherings. Here is a guide to some of the biggest current and up-and-coming food halls in Chicago, and what they offer for your next special event. Expansive Eataly was one of the first food halls to combine a bustling European-style market with a high-end food court. With multiple locations around the world, the Chicago location is the largest in the U.S.
Meeting planners enjoy 63,000 square feet, 23 unique eateries, two private event spaces, four meeting rooms and a cooking school. Complete buy-out, exhibit space and in-house catering are available. 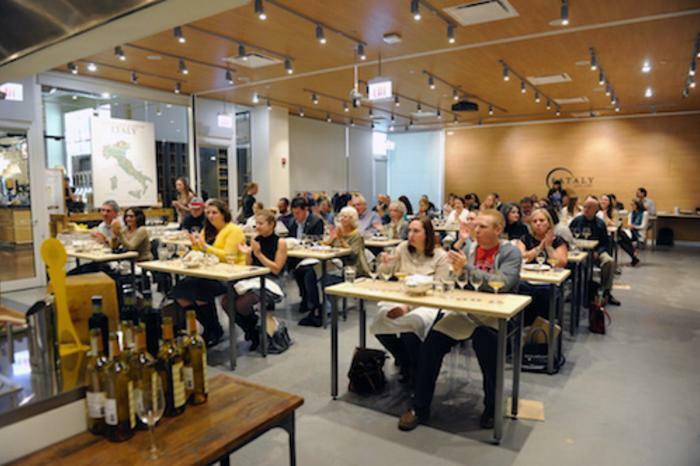 Eataly&apos;s pro staff can arrange your next reception, formal dinner, cooking class (they even offer cheese-making! ), wine tasting and much more. Choose from unique dining formats that span from tableside pasta served out of a wheel of Parmigiano Reggiano to 20 varieties of wood-fired Neopolitan pizza. The world&apos;s largest artisanal Italian food and wine marketplace offers expansive venue options. Send your group to the second-floor wine bar for a guided tasting. Hold a spectacular dinner for 100 in Il Salone with floor-to-ceiling windows and seasonal eats. Or delight guests with demonstration cooking classes and hands-on sessions making mozzarella, gnocchi or fresh pasta. There&apos;s also bocce, a spacious microbrewery and restaurant, and custom gift bags filled with Eataly marketplace treasures. 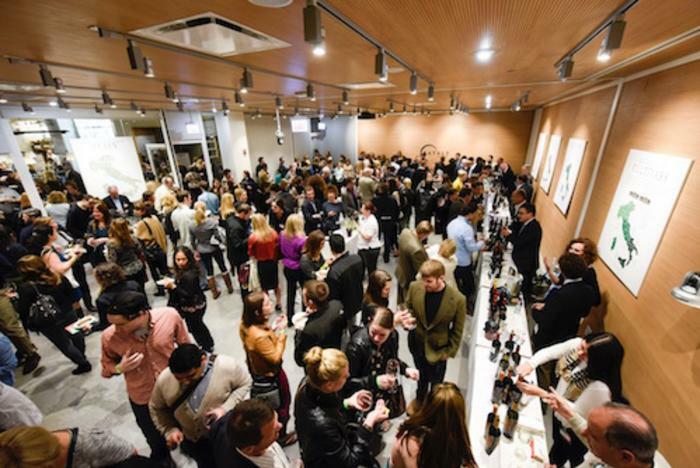 Explore private event options at Eataly Chicago. 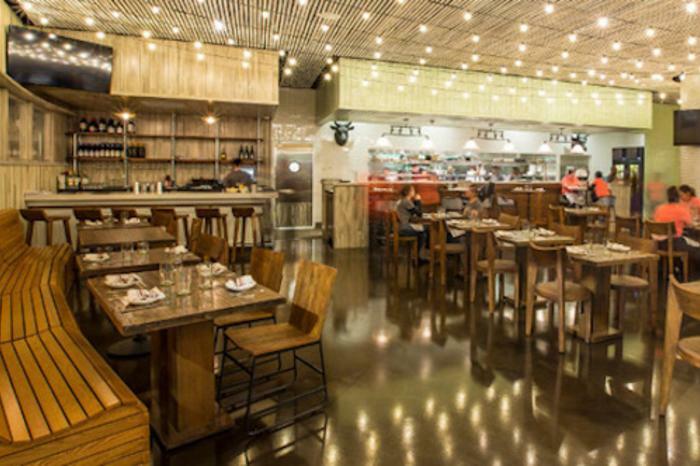 Chef Richard Sandoval&apos;s Latinicity commands an entire floor of the downtown Block 37 shopping mall, with diverse offerings from Spain, Portugal and Latin America. The colorful food oasis in the middle of downtown features 10 innovative kitchens, a full-service bar, coffee shop, tapas restaurant, lounge and space for 700. Latinicity offers six meeting rooms and can accommodate groups of 10 to 700 for private or semi-private events. Give your private event a Latin twist and combine dishes from 10 kitchens, a tapas restaurant, coffee café and full bar. Choose from private or semi-private spaces. Opt for the signature "Latinicity Experience," a popular package featuring unlimited food and soft drinks for two hours, where guests receive a VIP Event Card and order anything that catches their eye. Or customize your own event in one of the following spaces: The 20-guest Board Room, 120-guest Main Dining Room South, the Main Dining Room Full where 390 guests can gather, the Pata Negra for 140 guests or the 40-guest Loncheria. Learn more about these unique spaces and submit an RFP to Latinicity. Revival Food Hall is a 24,000-square-foot behemoth in a Daniel Burnham-designed 1907 building featuring 15 fast-casual stalls. Outposts include locations of Wicker Park&apos;s Antique Taco, ramen-focused Furious Spoon and charcuterie operation Danke, along with a coffee bar that transitions into an evening liquor bar and a 10,000-square-foot indoor/outdoor event space on the sixth floor. Revival can host up to 1,000 guests for a standing cocktail party, and offers customizable food and beverage menus, a designated event staff and 15 Chicago neighborhood culinary favorites under one roof. View floor plans, inquire about dates and see spaces for Revival. Uptown is getting its very own European-inspired market this year. As the official site explains, Beacon St. is a "collaboration of food we love, ideas that inspire us, and the desire to cultivate creativity in our guests. Beacon St. will serve as both a place to create, and a place to relax." Featured eateries include BBQ Supply Co., Norm&apos;s Deli, Budlong Hot Chicken and The Patio, for alfresco dining. The market will be located at 6948 N Western Ave.
Wrigleyville fans have something to get excited about this summer. Opening on Broadway and Sheridan, Lakeview Market will cater to the evening crowd, with hours extending from 10:30am to 10pm (with later hours on the weekend), and will feature a much-anticipated cocktail bar, sports bar and wine bar. The Market also will feature up to 20 food vendors, including Chicago faves Furious Spoon Ramen Shop, FireFin Poké Shop and Budlong Hot Chicken. Located in the Loop, Wells Street Market already has revealed an astounding lineup of award-winning chefs for its 2018 opening, including Jimmy Bannos Jr. of The Purple Pig, Takashi Yagihashi of Slurping Turtle, Shin Thompson of Furious Spoon and Jeff Mauro of Pork & Mindy’s. The 10,500-square-foot space will open at 205 W. Wacker Dr., just across the river from the Merchandise Mart. Find more only-in-Chicago special event venues and keep tabs on cool Chicago planning ideas for your next event.